Koreans are known for having flawless skin. I, for one, have not seen any Koreans with bad skin. Like, are they capable of having pimples? Also, they are super white – which could be genetics of course, but it’s also hugely due to their meticulous skin care habits. Which is why it's not surprising that Korean beauty products have grown in popularity in different countries, with people hoping to achieve the same porcelain like results. So how do you get that sort of light, translucent skin? You start by incorporating these must know Korean skin whitening tips into your life! You already know how damaging the sun’s rays are on the skin and how important using sunscreen is in keeping the skin not only light but also healthy. And this is something that Korean’s take very seriously – as should you. Korean women use sunscreen regardless of where they’re going and what the weather is. Be it a tropical vacation or a walk in the park, Korean women slather on the sunscreen. And they don't skimp on SPF, either. They tend to favor sunscreens with at least SPF 25/PA++ to SPF 50 for longer protection. Another beauty trick that hails from East Asia is the whitening sunscreen, which is a high SPF sunscreen that's formulated with ingredients to lighten your skin while protecting you from the sun's rays. This way, you get whitening benefits just by wearing sunscreen. Brilliant, really. Learn from them and never skip on the basic rule of sunscreen. 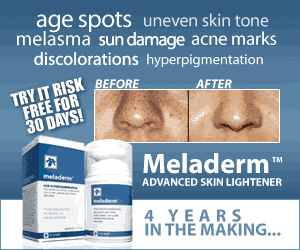 Prolonged sun damage not only causes darker skin but also hyperpigmentation, wrinkles and even larger pores. Why deal with all that when you can just cover up? Did you know that Koreans still like to go to communal bath houses? It seems strange, at first, considering South Korea is a highly developed country and everyone has bathtubs in their homes. But then you realize that each and every one of these bathhouses employ ladies who's sole task is to deeply exfoliate your entire body. Here's how it goes: You soak in the warm tubs of the bathhouse until your skin is sufficiently softened and then you enter the scrubbing chambers. Armed with warm water and an exfoliating mitt, the professional 'scrubbers' go to work on your skin until dead skin cells roll off your skin like piles of eraser dust. You emerge from the experience with fresh, clean and luminous skin. That is the point of exfoliation: it gets rid of dead skin and renews the complexion. And it's best done regularly. Especially since it also helps whitening products soak better into the skin. So how do you exfoliate like the Koreans? Koreans typically make sure that they exfoliate their face at least twice a week with gentle exfoliants that typically include lightening and brightening ingredients. For the body, it can be a little less regular, with most Koreans opting for a deep, professional scrubbing around once per month and doing upkeep at home with a personal exfoliating mitt. You can do the same - even without a professional scrubber - right at home by soaking in a warm bath for 20 minutes and then using an exfoliating mitt to scrub off dead skin cells with gentle but firm strokes. Koreans are pretty obsessed with face masks – evident in most Korean dramas, where women are regularly portrayed using them. Unlike many things we see on television, this love of face masks is a habit taken from real life. Which quickly becomes evident when you start noticing the sheer variety of Korean face masks. Facial masks are abundant in Korea and there are masks for everything: tightening, lifting, deep hydration, acne, fine lines, and of course, whitening and brightening. In the whitening department, you'll find everything from your standard sheets masks that are loaded with lightening ingredients as well as specialty masks like the soothing, cooling jelly mask to animal print whitening masks. Fortunately for us, thanks to the popularity of K-beauty, many of these face masks have made their way across the shore so you can also partake in this Korean beauty ritual. Even better, these facial masks are inexpensive so you can easily add them on to your skin care regimen without breaking the bank. BB creams and CC creams are both Korean obsessions that have also become very popular in other countries. Their claim to fame? They brighten and conceal while being lighter than foundation and not blocking the skin’s pores. Koreans love using them because not only do they give coverage they also moisturize and nourish the skin. And of course, many BB and CC creams have built in whitening properties - both to provide instant lightening benefits as well as ingredients that block melanin production so you get naturally lighter skin in the long run. Not to mention, these creams tend to include high SPF sun protection as well. Skin lightening, sun protection and makeup in one handy tube. No wonder they're so popular. It's no secret that Korean beauty products often contain some really strange ingredients: starfish extract, snail mucin, even salmon eggs! But hey, it's this open-mindedness to a variety of ingredients as well as the willingness to try something new that has made Korean beauty products so effective. And we can take a page from their book when it comes to skin lightening efforts. As you already know, there are tons of skin lighteners out there like kojic acid, niacinamide, licorice root extract, bearberry extract and so on. Because we are all different and we have different types of skin, an ingredient that works beautifully for one person may not work for another. So take the time to experiment, try new ingredients and see how it works on your skin! A natural remedy that Korean women like to use in keeping their complexions white and blameless is milk. How to use it? Heat milk to so that it's warm (microwaving it for about 45 seconds will do), then apply it as a toner with the help of a cotton ball on clean skin. Leave on and let it sink in before rinsing off with water. The AHA in wine helps solve various skin problems and improves complexion which is why Koreans also use it in a technique called wine scaling. It starts with cleansing the face the normal way and then putting gauze on your face. Wet a cotton pad with wine and wipe this cotton all over the gauze on your face. When the gauze is nearly dry, take out some cooled wine and wet another cotton pad with it then apply on the face like a toner. Rinse with warm water afterwards. People with dry skin do this at least once a week while people with normal skin do this twice a week.